Demonstrate your unique attention to detail to your guests by customising your own serving board. Our serving boards are made from a high-quality bamboo and come in three different shapes – round, rectangle and elongated for those complicated cracker entrées. 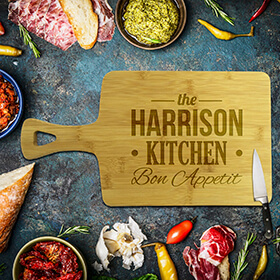 Custom design your serving board in a matter of seconds thanks to our intelligent web designer. 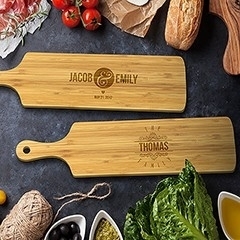 Choose to either insert a family name or a first name to make your serving boards look and even feel personal. We even have thematic serving boards which make for great father’s day and mother’s day gift ideas. We also have birthday themed serving boards, so you will never run out of unique gift options for friends and family. 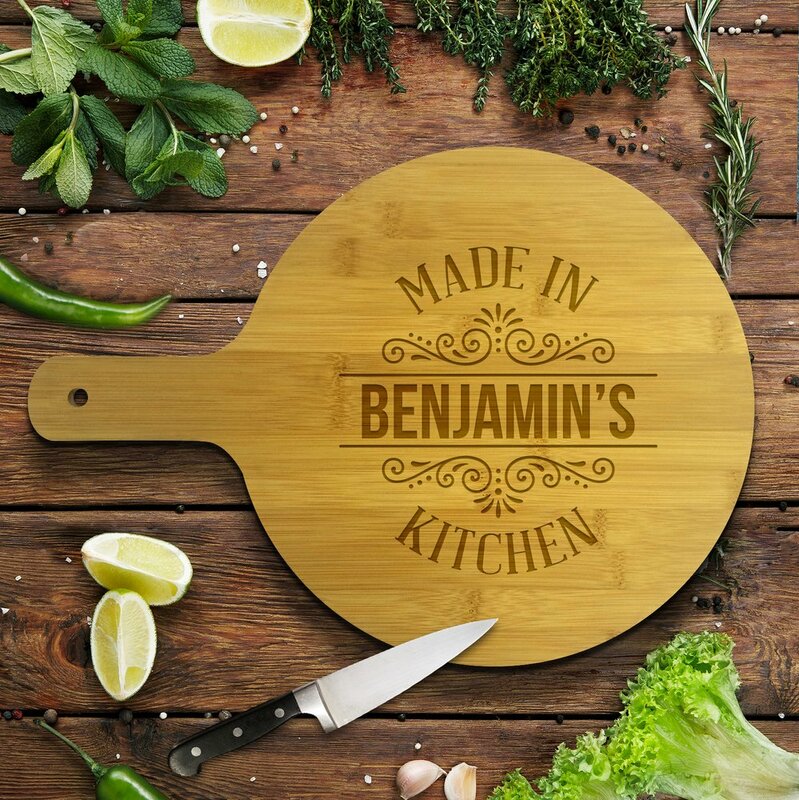 Our bamboo serving boards even make for a great house warming gift, you may even end up seeing them hung up on the wall rather than used in the kitchen – that’s how stunning they are! Our highly specialised manufacturing methods ensure that all our designs are protected from fading, so colours will remain fun and vibrant throughout daily use. Once the designs have been submitted, you can receive them in one of two ways: Absolutely FREE – Come pick it up from the store, we’ll email you when it’s ready! Mail Delivery – we offer both standard and express delivery options Have the perfect custom design in mind? Start designing today!